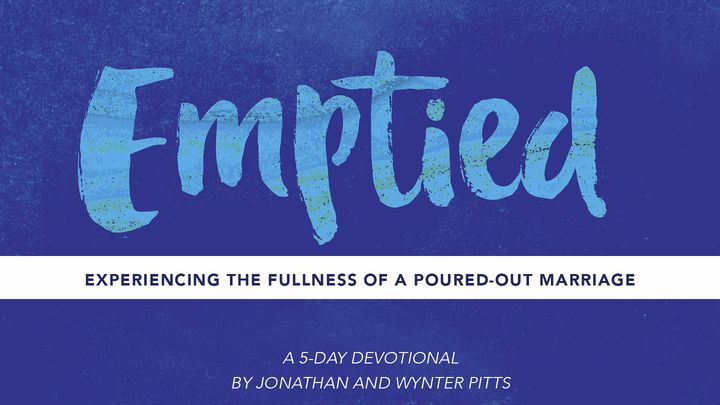 Emptied: Living A Poured-Out Marriage - Experience how God can pour His purpose, passion and fullness into your marriage. Living a poured-out marriage is a way of life. It’s not about trying harder, it’s about thinking differently. Only when you are emptied of your own motivations can God pour new life into you for the abundant marriage you truly long for. Are you ready to approach your marriage poured out, ready to be filled up? Experience how God can pour His purpose, passion and fullness into your marriage. Living a poured-out marriage is a way of life. It’s not about trying harder, it’s about thinking differently. Only when you are emptied of your own motivations can God pour new life into you for the abundant marriage you truly long for. Are you ready to approach your marriage poured out, ready to be filled up?